Thinking a Gift Card would be the perfect solution for an occasion? Just stop in either location during business hours to pick-up a gift card of any denomination. 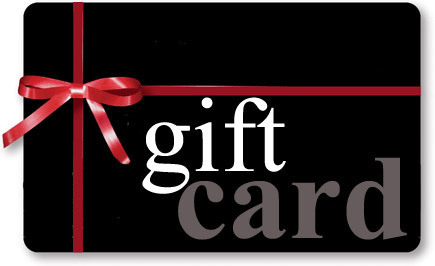 (Remember – gift cards can be used only in the shop they were purchased from). If you are out of town just call either shop and we can take your information over the phone and mail it directly to you or the recipient.